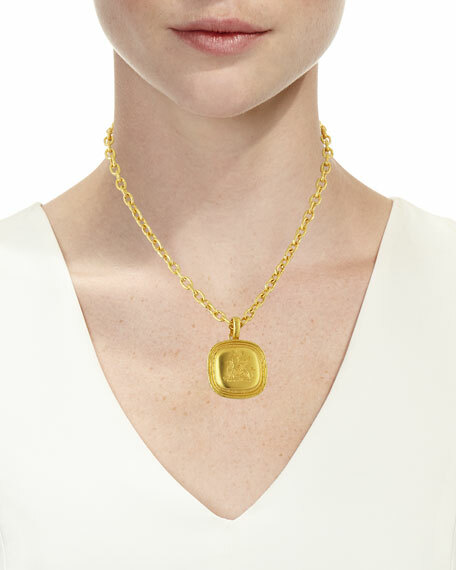 The classics inspire youthis Elizabeth Locke pendant's ode to fashions of a bygone era will beckon people closer for a look at the detailed relief. Finish a well-curated look by stringing it along your favorite chain. Handmade in 19k gold with hammered and matte finish. 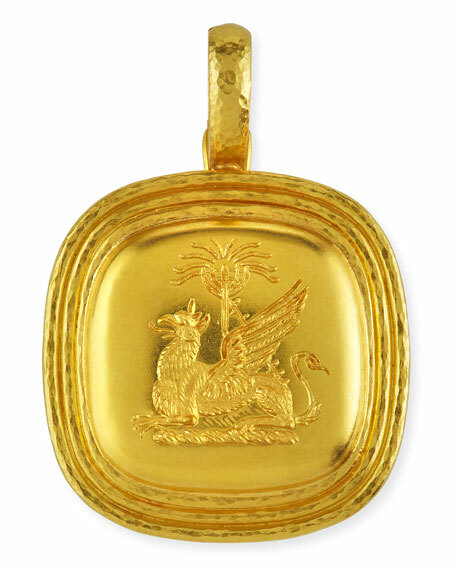 Griffin and palm tree-carved cushion livery button with step bezel. Approx. 32mm (1 1/4") square.